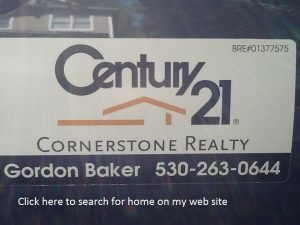 A new Listing came on the MLS the other day so I went out to preview it and took my video camera along. We are in an exceptionally tight market today. Home prices are being forced higher because demand is greater than supply. A two bedroom one bathroom house modestly appointed has listed for $365,000. How long will it be before it goes pending? Click the hyper link to see the attached PDF which has copies of the plat map and survey, as well as information about location of the soils testing. When you enter the property where the driveway starts off the cud-de-sac, you are on the east side of the “pole”. the drive cuts across the pole at a fairly steep angle so that it meet the west side of the pole right about where the drive to the first neighbor begins (lot 181 on the map) Because the driveway does not follow the property lines but cuts across at an angel it is difficult to say exactly where the property line is in relationship to the driveway, but once you pass lot 181 the driveway runs parallel to the property line and the driveway is almost entirely on the western line of the pole right up to the next neighbor, and the end of the road, which is the entry to lot 182. The flag portion of the property begin fight where the gate enters lot 182, and you can walk up the road, where I have an arrow attached to a tree, and if you draw a line in you mind due west, that would be bottom of the flag. That line is well marked with flagging, and cut bush along the back (northern line) of lot 152, which is the cut out that makes this lot a “flag lot” in the first place. The property line is not up the top of the hill, but runs about 100 feet north of the hill top, which means the property proper is really pretty steep, south facing, and down the hill from the ridge top, which is on property 152. The list price reflects this deficit. Obviously, the property with the ridge top would be more desirable. As for building, you cans see from the soils testing map, the actual building envelope is right neat the cul-de-sac on Michelle, and the driveway actually might go right through the building area! There probably is enough room to put a house right off the driveway (on the right) just past the neighbor, but the privacy would never be “absolute” You would always be in more or less plain view of the driveway. The other option, pushing the building site back to the flag end of the property would create spectacular views and big privacy, but it would add huge costs, both for new soil testing, site development and the additional driveway, and much larger costs associated with utilities. Hope everyone had a great holiday season. Ready to start the new year! OK, so I am leading off with a new feature. I call it, a “home of the week” preview segment. Each week I will go out, look at a home and bring back some video and talk about the house. This week, the home is 13001 Byron Road in North San Juan. The video is a bit shaky, but I am learning. This is my first attempt at this, so over time I hope to improve, add more technical data, but for right now, just learning how to shoot video and get it formatted for the web and up to my blog has been a bit of an adventure. As I get better at it, I will improve the content! This is 21st century real estate. Real estate sales require a buyer and seller to agree on a price and terms. The negotiation between a buyer and seller is the ultimate arbitrator. Of course, you can refinance your home and then the value of your home only matters to you and your lender, or you can do an appraisal for estate planning purposes which means the value of your home is just a number on a spreadsheet, but when friends and clients ask me, what’s the value of my home? Inevitably, what they really mean is, if I list my house sale today, how much can I expect a buyer will be willing to pay for it? The first principle, and the one basic assumption that anyone who asks what their home is worth must implicitly accept is called the “rule of substitution.” Some of you might be familiar with this rule from an economics class taken sometime in your distant past. Here it is: The rule of substitution says that any time a consumer is offered a choice between two products that have the same intrinsic features and qualities the consumer will always chose the less expensive of the two products. This is not rocket science, and it is common sense. Two bars of soap, both are the same, one is for sale for buck, one is buck and a half. Consumers buy the one for a dollar. Two cars on Craig’s List, both are the same, the cheaper one sells first. Nothing surprising about this. If this same rule did not apply to real estate just like any other consumer product, then the entire science of price prediction would be impossible. Once you accept that people buying homes are really no different than consumers of any other product and that they shop and compare homes based on features and amenities, and then buy the home that offers the features that they need and want at the lowest price, then you can begin to wrap you mind around the true impact that the supply and demand has on the price of a home. The real reason that home prices range up or down a few percentage points from one week to the next, and trends start and stop with prices moving first one way then the other, is all based on the ever changing inventory and the ever widening and shrinking pool of buyers. When I make predictions about the value of a home is it because I have been previewing the inventory continuously week after week and I have seen every kind and style of home in our county and I know what buyers and sellers have agreed those homes have been worth over many cycles and seasons of our market. The result is I can quickly run through the catalogue of similar homes and what they recently sold for, and know pretty well what a buyer would expect to pay for your home. How I do that will the subject header of many future blog entries. I want to start by telling a story. It a humbling story, but it serves good purpose. Back in 2007 and 2008 when the housing market was in its initial state of decline and home prices were falling quarter after quarter there was considerable disagreement among real estate professionals about just how bad this dip in prices was going to be. I was an optimist. I believed, without any real evidence, that the downturn would be short lived, home prices would quickly rebound, and in 2009 I thought we were about to turn around and home prices would rise. I was advising my buyer clients this was buying opportunity and I was advising my sellers, just hold on a few more months. I was betting the market would return to the long term historical trend of increasing value and homes would once again be the rock solid investment they had been my entire life. I was wrong, as we all know. It got worse, much worse, and the decline in values lasted much longer than I had hoped or thought possible. People who bought in 2009 with the anticipation of rising values in the near term went under, and people who held on for another year might not be out from being underwater even today! Hard lessons and difficult decisions. The real estate market is docile today compared to 2010 and 2011. But the lessons of those “bad” years are not to be forgotten. Prices fluctuate, supply increases and decreases and then increases again in regular heart beat tuned to the seasons, and buyer demand goes up and down based on perceptions that are often times driven by media hype. Hubris is a powerful enemy to fact based decision making. The market never lies, but sometimes it is difficult to see when the facts contradict entrenched beliefs. Homes always sell for exactly what a buyer and seller agree is the right price. Sometimes principles that are the most self-evident are the most difficult to apply with integrity. So, for this first blog entry, let me do a little “be honest” (a term favored by one of my business coaches when he wanted to make a point that required rational introspection rather than usual self-aggrandizing hype of a sales person). I don’t have a crystal ball. Nobody does. Nobody knows what will happen two or three years down the line. Nobody can tell you today if the home you buy or sell now will be worth more or less 24 months from now. It would be unprofessional and pretentious, and an outright lie if I claimed to know the future. That’s not what I do, and that’s not the point of this blog. So, I empathize with my clients. What I hear every day from my clients who are in the process of buying or selling is they are trying to decide to act or wait. They want to know if they wait will they be rewarded with greater leverage in the transaction then if they take decisive action today? Of course, long term, a decade or more, prices will rise the same as general rate of inflation for all goods and services, but in the intermediary time frame, two years, or less, the price or value of a home is uncertain, and buyers and sellers are grappling with this uncertainty and are seeking my professional advice on what might amount to tens of thousands of dollars of additional costs or lost equity if they act imprudently. What I can assure my clients is that while the price of a home is uncertain it is not arbitrary and it is not irrational. I have dedicated this blog to understanding the logic, math, and statistics of our local housing market. Nothing so refined as an exact formula is possible. But what is possible, what is actually doable, and really makes a great deal of sense, is knowing what is happening in the real estate market in terms of short term trends, especially if you want to know what is likely to happen in the next 12 months. What I am very good at is knowing where we are today, and where we are going in short term, and that turns out to be very useful to just about everyone who wants to buye or sell right now, and that’s why I create this blog. As a real estate professional I study homes and prices every day. I have a mental catalogue of the number and type of homes that populate every neighborhood in Nevada County. I am intimately acquainted with every street and know the houses by price range and condition over the full spectrum of our housing inventory. I don’t determine what buyers want, need, or can afford, and I certainly do not tell sellers what to do with proceeds from the sale of their home. What I actually do is advise buyers and sellers on the trends, preferences, the historical facts about the value of homes. I assist them in making reasonable assumptions about the near term fair market price of any particular home they are considering buying or selling. For sellers, I help them to set the price that will generate interest by potential buyers and present them with offers for consideration and response. For buyers, I help them understand the market considerations of making offers on property they want and assist them in crafting an offer with a price, terms, and conditions that will be accepted by a seller. Every week, on Friday afternoon I take the pulse of the market by summarizing all the sales activity for the previous week. I record the data on a spreadsheet and make graphs so I can grasp the data visually. I look at new listings, new pending sales, and closed escrows. I compare homes and prices as buyers and sellers jostle to find the “meeting of mind” that makes a transaction possible. Over the course of several years in times of rising and declining supply and through all the seasonal changes in demand, I have come to understand how prices fluctuate week over week and month over month. I know how, why, and when the market continually adjusts to meet the expectations and desires of buyers and sellers. My observations and knowledge of the housing market are put to use every day by the buyers and sellers I represent. Individual clients don’t need to know and rarely care about market factors that determine how home prices are changing beyond the specific home or neighborhood where they want to buy or sell. Nonetheless, I generate a great deal of information about the broader market and track trends and watch the changing home prices regionally, every week, regardless of whether I have a client that can use that information on any given day. For one thing, I am always acquiring new clients with new wants and needs, but I am also tracking parallel markets and neighborhoods far afield of where my own clients might be located as a way of understanding our regional market, and because trends that grab my attention in one neighborhood or subdivision tend to spread. Easy to use. No ads or pop-ups. I have an fun experiment in mind. I am going to start a blog and in it I am going to write a weekly report giving a market overview for people who share my passion for real estate. If you received this invitation to follow my blog it’s because you are thinking of either buying selling a home in the next 12 months. I also will not shy away from questions about the underlying factors that determine what happens to prices over time and why prices go up and down. I have started with three posts describing the current market. Each entry is dated so you can get an idea of how my own thinking is evolving with the changing prices of homes. Among the various experiments I have in mind is a favorite idea that has occurred to me, to create a visual aid for buyers and sellers to really grasp how the market functions over time. I call it the “whiteboard.” In terms of the technical skill necessary to get this to work, it may take a few attempts before I get the bugs worked out, but the information is fascinating, so let’s give it a try. I promise, I will work on making it easier to understand in future posts! Don’t worry that you can’t get the meaning just yet. It will take a couple of different presentations to explain the “X” and “Y” axis, and scale. For now, I am just setting up the template, and in the future I will explain what it means.